What is the Electrical Condition Report? The Electrical Condition Report (formerly known as a Periodic Inspection Report or PIR) is a report on the condition of an electrical installation of some age. Tjhe periodic Inspection is a physical inspection of existing electrical installations, identifying in order of priority any deficiencies against the national safety standard for electrical installations. There is a table in Guidance Note 3 which gives you the frequency of inspection for different types of buildings. Because electrical installations deteriorate with age and use. 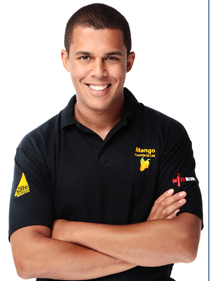 Mango Contracts London Electricians can check whether they are in a satisfactory condition for continued service. These safety checks previously referred to as 'Periodic Inspection Report are now called the 'Electrical Condition Report'. All of our engineers are fully qualified and carry out work in accordance with current regulations. To book an electrical condition report in London online click here. We also have full coverage with our Public Liability Insurance. Many thanks for a splendid job on rewiring my old flat, my wife was so impressed with the quality of workmanship, price and how quickly the done was completed. I would recommend mango contracts to everyone. Mr H Salhotra. West Ealing London.